Seattle police initially thought Kay Matteson had died from natural causes when they found his body last April inside his camper near the Ballard Bridge. But after an autopsy showed the 79-year-old had died from a gunshot wound to the chest, the death turned into a homicide investigation. In August, Seattle police discovered the body of 55-year-old Estyl Hall Jr. covered in a bloody blanket beneath Interstate 5 in Sodo. A couple of weeks after that, Glenn Daniels, 56, was stabbed in the leg and bled to death at a homeless encampment on South Dearborn Street near the Seattle Goodwill store. The three were among the eight homicide cases involving a homeless victim in King County last year, an increase over each of the previous two years, according to a Seattle Times analysis of data compiled from law enforcement agencies, court records, prosecutors and the King County Medical Examiner’s Office. All but one case occurred in Seattle. There could be two additional homicides involving homeless men, but sketchy details of their living situations at the time of their deaths make it difficult to determine. 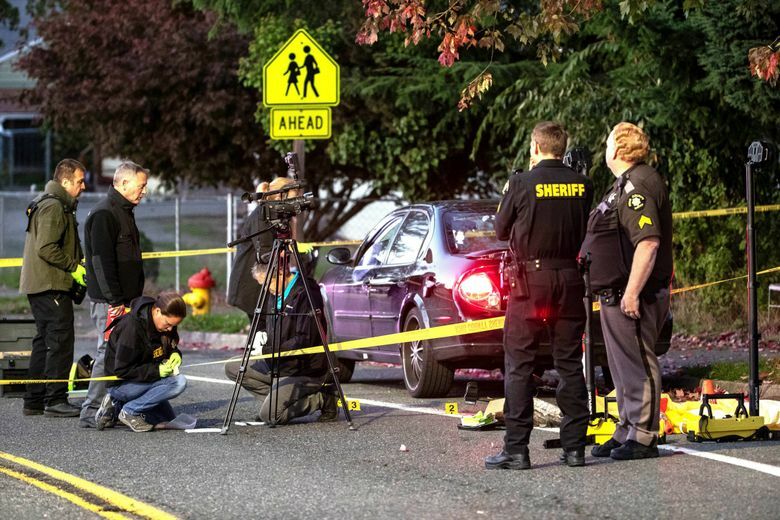 Nonetheless, the eight homicides represent more than 10% of the 78 homicide victims in King County in 2018, the Times analysis found. There were a total of 74 homicides in 2017 and 66 in 2016. Deaths of people who live outdoors happen for a variety of reasons: cardiovascular disease, complications from alcoholism, suicide, overdoses from fentanyl or meth, as well as homicide. Earlier this year, the medical examiner reported a record number of homeless deaths across the county in 2018, with 191 people dying outdoors. The eight homicide cases involving homeless people last year is an increase from seven deaths in 2016 and six in 2017, The Times analysis found. Living conditions, drugs and mental illness all play a role in the homicides involving people living outdoors, according to the Seattle Police Department. King County still ranks low for murders among metropolitan areas across the country, with about 3 per 100,000 residents in 2017 compared to 5.6 nationally, according to the latest FBI data. But preliminary FBI data for the first half of 2018 show a 6 percent decrease in homicides in metropolitan areas from the same period in 2017, compared to The Seattle Times count that shows an overall 5 percent increase from 2017 to 2018. Another concerning trend seen in 2018 was the 10 homicide cases in which police found no previous connection between victim and suspect. One victim was Jennifer Ayers, a 63-year-old Seattle woman, who was raped and tortured in her home in January 2018, chosen by her alleged killer at random. Eight months later, Steven Morphis, a retired Boeing worker who collected “Star Trek” memorabilia, was bludgeoned to death by a man who sheriff’s detectives say wanted to steal his home and property outside of Renton. Because of the lack of a connection, random homicides can be difficult to solve — as with the case of Ryan Dela Cruz, a 17-year-old who was fatally shot in June while “ghost hunting” with friends in a Seattle park. 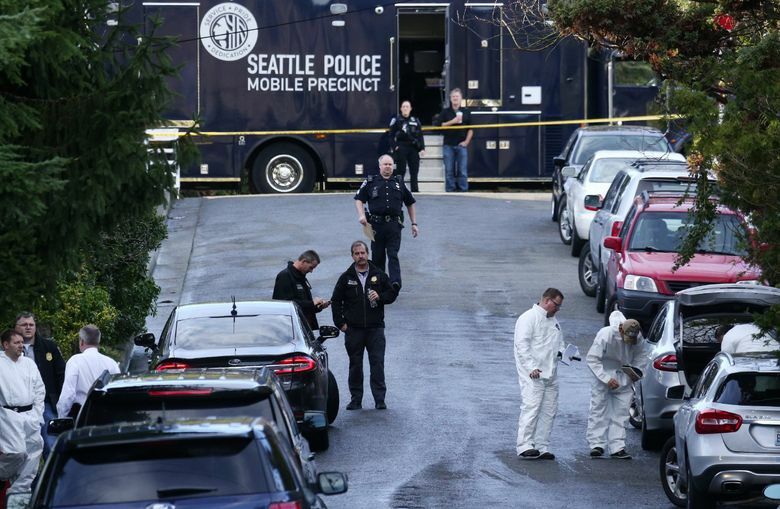 “It’s the random or stranger homicides that truly strikes fear in the community’s heart,” said Assistant Seattle Police Chief Deanna Nollette, commander of the Seattle Police Department’s Criminal Investigations Bureau. In 2018, the county’s two largest police agencies – the Seattle Police Department (SPD) and the King County Sheriff’s Office – investigated 31 and 24 homicides, respectively. In 2017, Seattle police investigated 27 homicides committed in the city, while sheriff’s detectives investigated 20 homicide cases from unincorporated areas and cities that contract with the sheriff’s office for police services. Last year, there were seven homicides in Kent, five in Renton, three in Tukwila, two each in Auburn, Federal Way and Des Moines, and one each in Redmond and Duvall. Seven victims – five boys and two girls – were juveniles. Eight juveniles, all of them boys, were among the 38 suspects who were charged in connection with a homicide last year. Additionally, seven men – five who were white and two who were Asian – were killed in confrontations with police last year: two in Seattle and one each in Federal Way, Kirkland, Kent, Shoreline and Issaquah. Six of them were shot and the seventh, a 66-year-old Chinese immigrant with dementia, died in September, a month after his neck was broken when he was handcuffed by two Issaquah police officers. Eleven people were killed in police-involved shootings in King County in 2017, up from eight in 2016, nine in 2015 and three in 2014. SPD and the sheriff’s office both saw a decline in gang-related homicides last year, which police largely attributed to proactive work and increased data sharing between law enforcement and prosecutors about shootings and the people involved in them. According to Nollette, SPD dismantled a violent South Seattle street gang last year, and sheriff’s Sgt. Ryan Abbott said detectives arrested several South King County gang members who were targeting rivals. “Data is always incredibly valuable. We can make fact-based deployments instead of gut-feeling decisions,” Nollette said, referencing the Shots Fired project begun by the prosecutor’s office last year, which collects and analyzes data from shootings. Based on information provided by eight of the county’s 40 law enforcement agencies, Senior Deputy Prosecutors Karissa Taylor and Dan Carew found that 55 homicide victims were killed by gunfire last year, and an additional 191 people were shot but survived. As in previous years, black males accounted for a disproportionate number of homicide victims in 2018. Twenty black men and boys were killed, representing 25% of the county’s 78 homicides, down from 26 of 74 homicides, or 35%, in 2017. Five black women were victims of homicide last year, representing 6% of the total, down from 9% in 2017. Black residents account for less than 7% of King County’s 2.2 million people, according to U.S. Census estimates for 2018. There were 41 white homicide victims – 29 males and 12 females – representing 53% of the total in a county that is 68% white, the data shows. Of the 20 female homicide victims, 11 were killed in domestic-violence incidents, seven of them by a spouse or intimate partner. In four of the cases involving a female victim, the killers – three men and a woman – also killed themselves. An additional 25 men, five boys and two women were charged with murder. Two suspects – Ayers’ alleged killer and a woman accused of shooting her 14-year-old daughter in the head – were each charged with aggravated first-degree murder, a crime that carries a punishment of life in prison without the possibility of release. The remaining suspects were charged with either first- or second-degree murder in connection with 30 cases involving 32 victims, court records show. Of the suspects charged with manslaughter or murder, 42% are black and 58% are white.